If you like to travel, you know how frustrating and stressful it can be trying to fit your life into a suitcase for your getaway. You want choices for outfits so you are covered for whatever the weather brings, you need your medications and supplements, boredom busters, electronics and chargers, maybe a change of shoes... By the time it is time to pack your skincare and makeup and toiletries, space is usually pretty limited. Not to mention all the crazy TSA rules and trying to figure out which of your go to products are able to safely travel! I have been an avid explorer since I had enough money to go somewhere new, so I am well versed in the struggles of travelling. But a lot of the stress can be cut by making one simple change. Yes, you heard me right! Those little sachets and tiny pots and mini bottles you have been hoarding and forgetting about month after month are perfect for weekend getaways or month long trips abroad! I have never come across a try me size that is larger than 60ml, so you know that they will comply with airport regulations, and since so many of them are in foil packets, you can save on space at the same time! When you have a single one litre bag to contain your toothpaste, mouthwash, haircare, body wash, makeup, contact solution, and other liquids, you are seriously short on room. Instead of having to make tough cuts and ditching your tried and true full size liquid shampoo, bring it with you (or invest in a shampoo bar, but that is a post for another time)! Most of my favourite brands offer minis in some shape or another, whether it be sachets or tubes or canisters, and since so many shop orders and beauty boxes come with free samples, I have ended up with an entire box full. I hate having anything go to waste, so what better way to use all these freebies up than saving me a whole lot of trouble at the airport?! My partner and I will be heading off to Ireland for a week in June, and I have already selected most of the products I will be adding to my travel makeup bag. Every single one so far is a sample! I love the ease with which they allow me to get around, both through airport security and in general as I only have to bring a backpack instead of a suitcase. 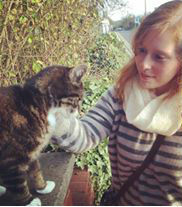 Plus, I have ended up finding some tried and true favourites by trialing samples while on my little adventures! 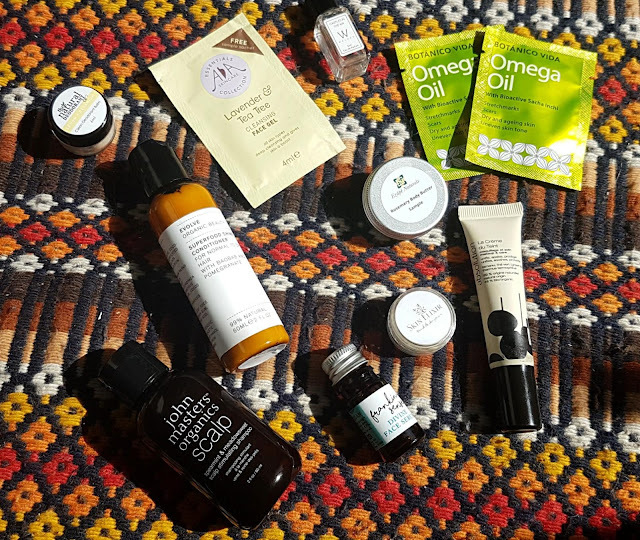 You might recognize a few of these from past editions of the Love Lula Beauty Box and The Cruelty Free Beauty Box, or from my recent weekend getaways to Belfast and Hampshire. Oils and balms in particular last me ages, so even little 3ml and 5ml samples like the Awake Organics serum, Walden perfume, and The Natural Deo Co deodorant can last me several trips. If that is not cost effective, I don't know what is! Since I know how long they last me, it does not make sense to bring a full size item. I actively try to only bring tiny samples since I know I will not finish the product on my trip -- meaning I will also be bringing it back home. If I know I will be bringing back presents or self-souvenirs, I usually choose to bring sachets like the Botanico Vida Omega Oil or the AA cleansing gel, since they will be used up by the end of my adventure which means I will free up a little extra room in my bag for the journey home. For things like oils, face wash, shampoo, conditioner, or other products that only require a small amount, I think sachets are a great way to save on space when travelling. Plus, they are especially suited to short breaks, as you only need a few days worth of product! For longer holidays or for items you need slightly more of, little pots and small bottles are a great option -- they can hold more product but are still small enough to squeeze into your TSA bag. John Masters and Evolve both offer travel-friendly sizes that are great for even a month long stint abroad. Since my partner and I share toiletries while away, this 60ml duo serves us well and we don't have to fear running out and having to buy an overpriced bottle that is most likely filled with nasties. I also always pack a body cream of some sort, as it comes in handy for all sorts of weather. It soothes chapped skin from cold winds, but also helps keep skin radiant and soft for trips where you are wearing shorts and bathing suits. Ezape Naturals Rosemary Body Butter is currently my go to, as it smells incredibly calming (perfect for vacation!) and leaves my legs silky smooth. Multi-taskers are another must have for travelling. Recently I was sent a sample of the Organic Frankincense and May Chang moisturizer from Skin Elixir, and since it is anydrous (water free!) and made entirely from oil, you only need to apply a tiny amount so this will last ages! Plus, it can be used as a facial moisturizer, for dry patches on the body, or even as a lip balm. That means you can pack even less, since you have a handy 3-in-1 at the ready. I have talked a lot about skincare, but did you know that there are samples available for a lot of makeup products as well? One of the ones I have been loving lately is Absolution's La Crème du Teint which I have in a handy travel friendly tube. I can use this as a multi-purpose complexion tool as it works perfectly as both a BB and CC cream, a concealer, and as a tinted moisturizer. And since it contains tamanu and aloe vera, it also works to soothe my skin and help balance my blemish-prone t-zone. If you do not have any samples at hand, there are still a few options -- you can buy individual samples from stockists like Love Lula, Naturismo, Glow Organic or direct from a brand's own website, you can purchase a cheap travel bottle set to then decant your favourite products into, or if you have empty containers already you can simply use those to add your current skincare/haircare essentials into. I actually have kept some of my larger sample bottles to do just this with. 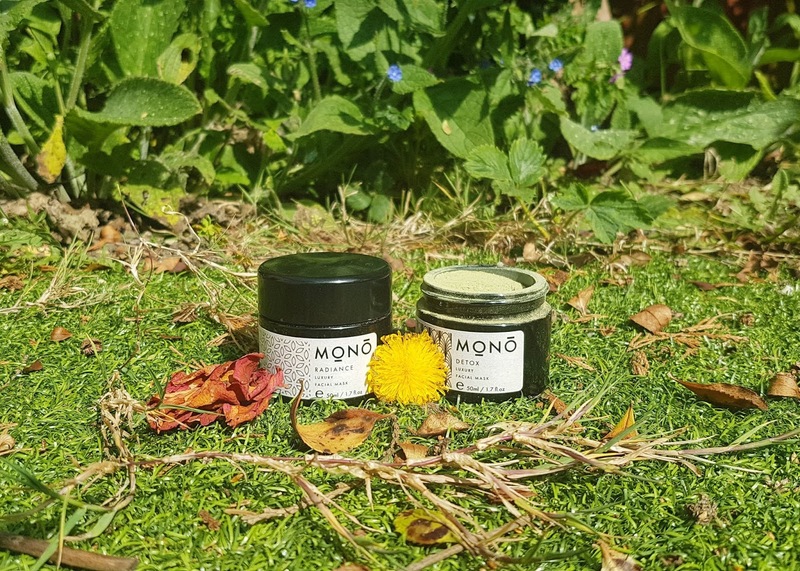 I just scoop a bit of my favourite creams into pots, pop them in my bag, and I am ready to go! While I do not have any lipstick or eyeshadow samples on hand at the moment, I have found the perfect solution for these larger products as well! For example, did you know some brands offer teeny-tiny palettes that can fit in your wallet?? I have two from Jelly Pong Pong that are great for on the go, and they take up almost zero space in my travel bag. I have also de-tubed a broken lipstick and melted it down into a 5ml sample jar -- now it is pocket sized and so easy to travel with, plus I have reused a plastic container that might otherwise have ended up in a landfill. It was a win-win situation! Do you have any other advice for traveling with your toiletries? I would love to hear your ideas on both my suitcase samples and your own thoughts about travelling down in the comments below! 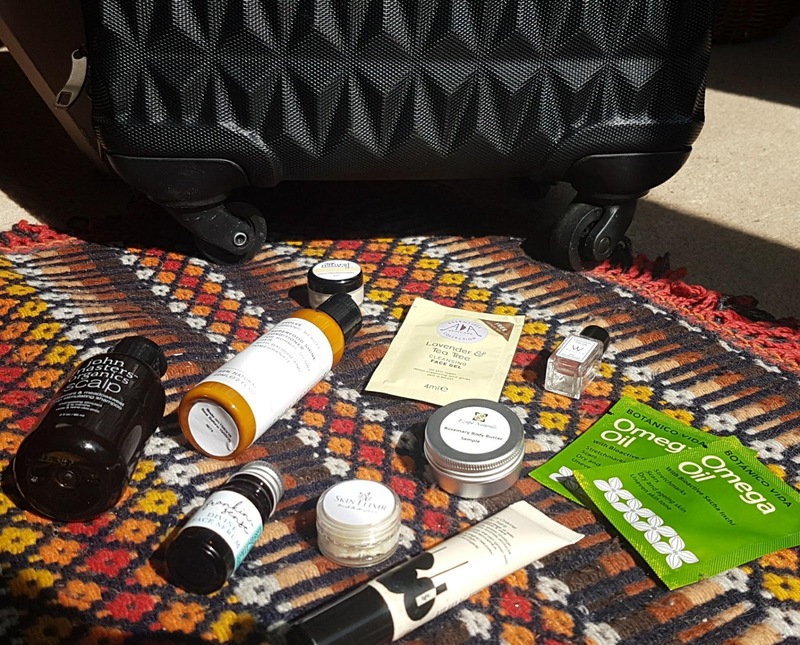 Sachets, little pots and bottles are a life saver when packing a suitcase! I try to take only what I'll need so there's more room for duty free haha! Ezape Naturals Rosemary Body Butter sounds great, where do you buy this from? I am travelling tomorrow with hand luggage tomorrow, this is so handy! Samples are much easier when you're going away! It saves so much space! 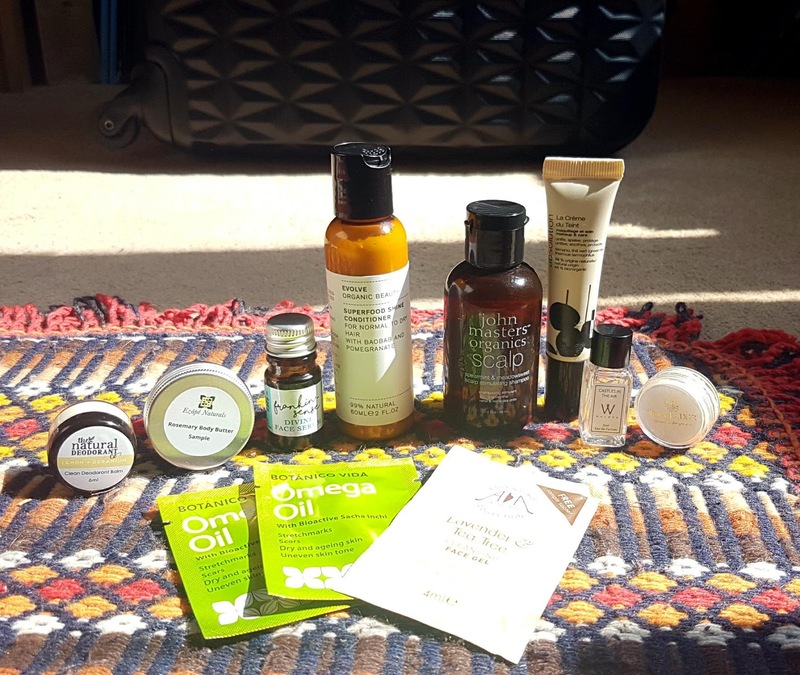 These are some get sounding essentials I have to admit I always struggle with what to pack when I am heading away on holiday when it comes to products and I like the idea of finding samples to do the job! I try to only take samples now, as I have room for souvenirs on the way home! I do this! I always take small bottles away with me and then you can just throw them away instead of taking them back. We normally stock up on travel sizes from Boots but I must confess that the thing my case is mostly full of is medication - that's pretty standard with kids I guess. Whenever I travel I just use all of the samples I have taken from hotel rooms over the years! I guess they leave them there for you to use so if you don't, I take them for future trips! We hoard samples for camping and festival trips, some great finds here and we’ll be looking out for them! What a great idea most brands have mini testers too so they would be perfect for travelling. I decant my products into small travel posts and bottles.